S hapeshifters. Beings with the ability to change their physical form or manifestation. From legendary humans who transform under the light of a full moon, to the horrific mimicry of The Thing, to the mimetic metal of The Terminator‘s T-1000 Terminator, such embody the mystery of the unknown. 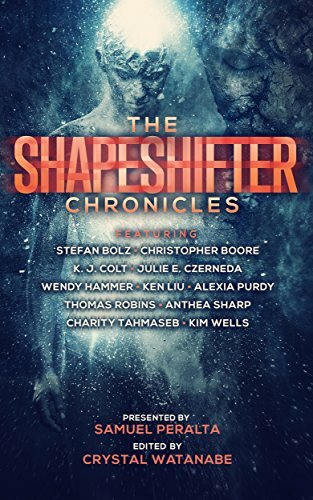 In this volume of the acclaimed Future Chronicles anthology series, eleven authors weave stories around such entities – both fantastical and technological – exploring our fascination with the shapeshifter. This entry was posted in Books, Feyland series news, New Release, Sale!, Science fantasy, science fiction. Bookmark the permalink.